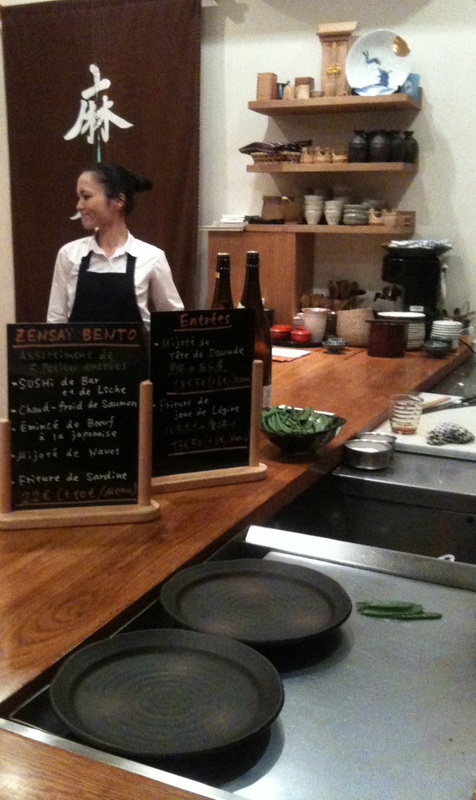 Azabu , fine Japanese cuisine in Paris – A TAVOLA ! Dear Art de vivre readers ! We only write here when we have something really worth sharing. 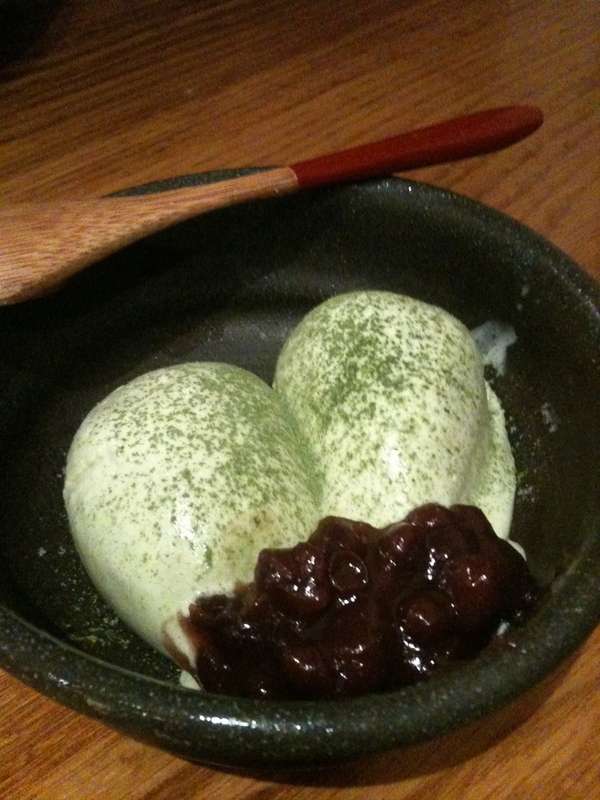 Yesterday evening we were at AZABU restaurant, recommended to us lately by a Japanese tea and massage institute. Azabu’s speciality is Teppan Yaki. Thus my first recommendation : book a table at the bar and enjoy looking at the chef cooking ! This is extremely impressive and full of learnings for those of you passionate about technique. 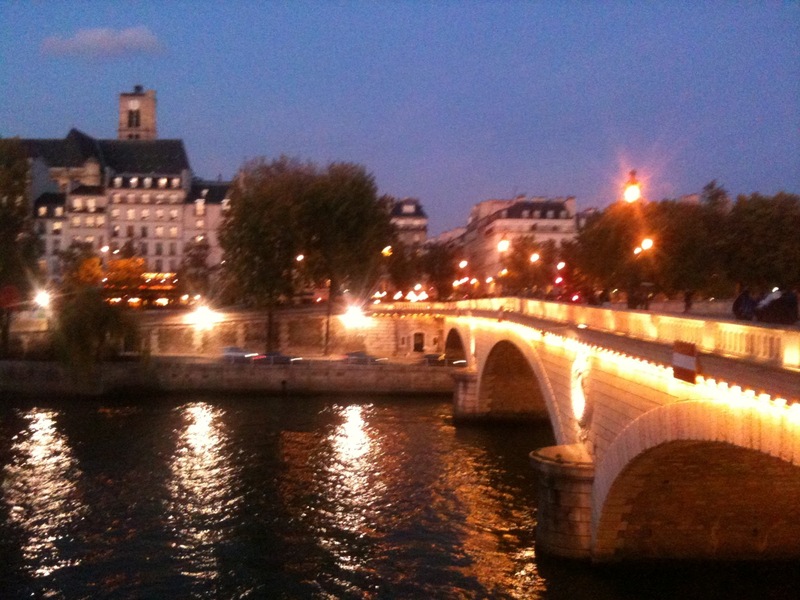 The restaurant is located in the very heart of Saint Germain des près. Once passed the frontdoor, you feel well immediately. A minimalist but warm design. Quiet and peaceful place which extracts you from the everyday rush within seconds. We both opted for the 39€ menu which is composed of two “mises en bouche”, one starter, one main dish and the dessert. 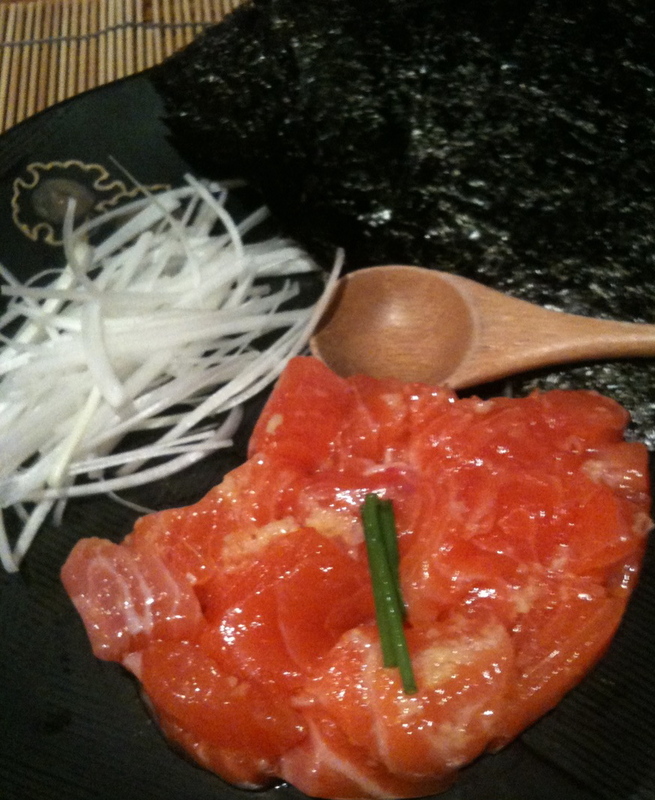 Which is given the quality an excellent price/quality ratio in Paris for fine Japanese cuisine. In disorder we’ve had Zensay Bento, salmon tartar, Saint-Jacques shells, Filet of turbot, green tea ice cream with red beans purée. An explosion of flavors served by the impeccable freshness of the products used there. All in all a wonderful moment we can only recommend. AZABU , 3 rue André-Mazet, 75006 Paris. Tel : 0146337205.